Cats On The Homestead: Vinegar weed killer? Wrong answer! Apparently it is all the rage on Pinterest theses days to tout the miracle of using vinegar as a weed killer. But like so many things on Pinterest it appears that most of these folks love the idea but have never actually tried it. Have you seen the failed projects. Those make me laugh more than autocorrect. Love this vinegar on my plants... in my kitchen. So here is the truth about vinegar as a weed killer. It does not work. Let me say that again; a thousand internet users can be and often are wrong. Vinegar is not an effective weed killer. 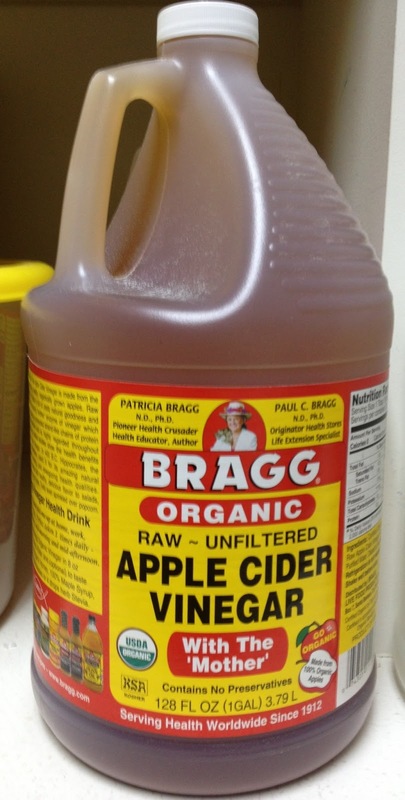 Grocery store vinegar is usually a 5% solution of acetic acid in water. A few vinegars may be a little higher percentage but still mild enough to dress a salad without gastrointestinal trauma. Spraying vinegar on the leaves of a plant damages the foliage. If it is a small enough plant the vinegar might even kill the foliage. But vinegar spray won't kill the roots. If the root lives, the plant will grow back. Dumping vinegar on a plant doesn't kill the plant either but it might harm the earthworms you want in your garden. And ultimately it just wastes perfectly good salad dressing. Some garden centers (and Amazon.com) sell a 20% acetic acid solution as a weed killer. This will kill many, but not all plants. It works better on broad leaf weeds than grass weeds. However now you are working with a much stronger acid that can be very dangerous (think skin burns and blindness). Do yourself a favor and keep the vinegar out of the garden and try an effective weed killer instead... Perhaps a large dog, small child, chickens, etc. Or you could pull weeds, which I find very therapeutic. Or you can even smother them with newspaper, plastic, or cardboard. We use white vinegar with table salt and a small amount of dishwashing liquid on a areas that are have no plants on but only weeds and this does work quite well. We have used it numerous times and it is a great alternative to chemical weed killers. I don't use it in my garden because any weed killer is also going to kill your other plants. I pull those weeds. So I am one that can testify that vinegar does work when used properly. Hi Marla. The vinegar, soap and salt combination works on a lot of plants. The soap breaks down the outer cuticle layer of the plant allowing the salt and vinegar to get in. The salt desiccates the plant for an immediate knock down effect and the vinegar then can disrupt the remaining biologic processes inside the plant (well many plants but not all). Straight vinegar alone isn't going to do much to any plant. And I agree with you, since we don't want to harm the plants we want, it is best not to use it in the garden. I rather enjoy pulling weeds. It might be because our growing season is so short I only have a few weeks of weeding each year. Thanks for stopping by and offering great insight. was claimed to be one of the Superfoods, I woke up. asteroid observation, monitoring the earth's environment, robotics, etc. these matters, it will not self-regulate as a society.